Miller, an independent-team MotoGP rider, managed to outdo factory racers on wet qualifying conditions. Alma Pramac Racing's Jack Miller shocked the world of MotoGP by storming to the front of the field during a frantic qualifying session at the Autodromo Termas de Rio Honda in Argentina. Honda Repsol's Dani Pedrosa and Yamaha Tech3's Johann Zarco followed in second and third. Rain began to fall during the last practice session ahead of the first of two rounds of qualifying, which prompted all MotoGP teams to switch to wet tires and wet-weather setups for Q1. Despite a dry line beginning to appear during the closing stages of the session, most riders decided to venture into Q2 with wet tires with the exception of Marc Marquez, Miller, and Cal Crutchlow. 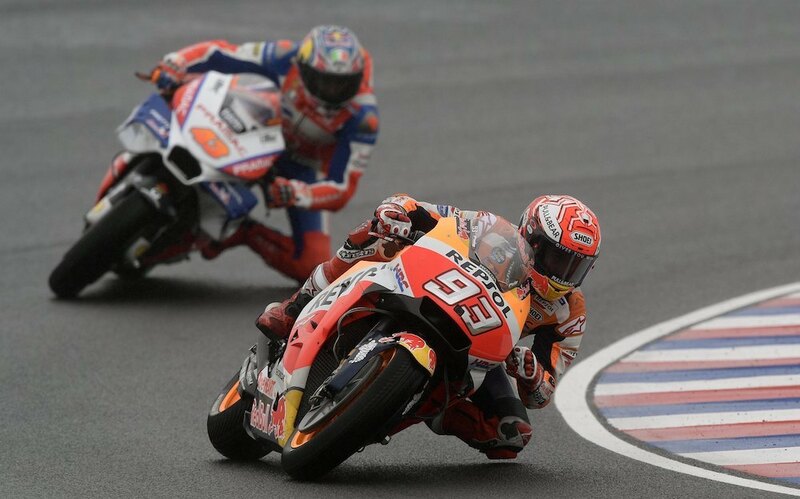 Despite their valiant efforts, Marquez and Crutchlow didn't have what it took to remain on the circuit and suffer through the drying phase of the outing, which awarded Miller a once-in-a-blue-moon opportunity to stick it to the man by remaining on slick tires. While the reigning world champion and others popped back into the pits to switch back to wets, Miller put down the hammer and lapped the 2.9-mile circuit in just 1:47.153 seconds, which was good enough for pole position. Pedrosa almost robbed the Australian of his maiden MotoGP pole, but ended up coming a bit short with a lap time of 1:47.300 seconds. Zarco, who recently stunned everyone with a pole position in Qatar, delivered once again with a lap time of 1:47.365 seconds. The Miller-Zarco one-three means that two independent MotoGP teams outran factory teams with budgets many, many times bigger, at least during qualifying. Speaking of underperforming factory teams, the Ducati of Jorge Lorenzo was only good enough for the 14th spot on the grid, which means that he'll be starting behind the two-year-old Ducati of Karel Abraham. 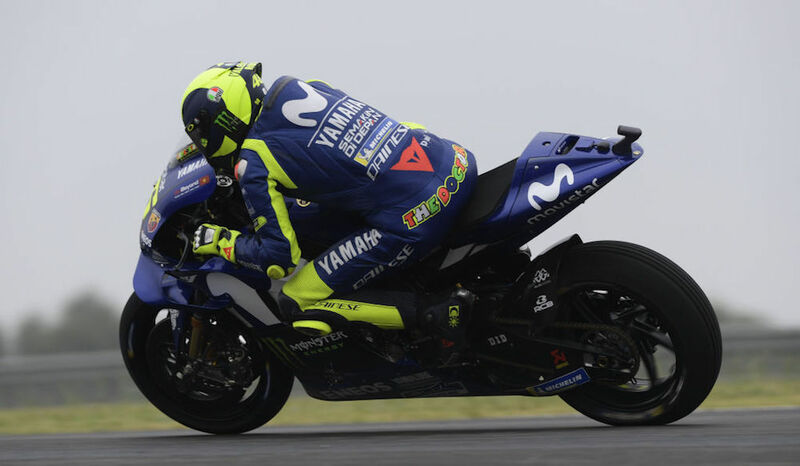 Much like Lorenzo and company, Yamaha's Rossi and Vinales couldn't come to terms with the tricky conditions and will start from the 11th and ninth spot on the grid. The nine-time world champion will remain with his team until 2020.